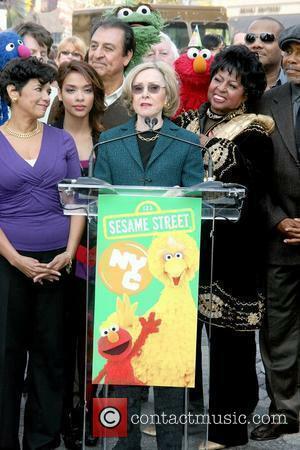 The Sesame Street cast and crew appeared in Washington DC yesterday, to lobby against cuts to the Corporation for Public Broadcasting. The House has already voted to zero out the appropriation, which totals about $420 million dollars. Most of the media coverage has, to date, focused on National Public Radio which, critics claim, is leftist. The only specific examples I’ve seen cited are the controversial James O’Keefe tape (which has been taken apart on Glenn Beck’s website, The Blaze, and discussed here) and the firing of Juan Williams, but the bias charge has remained largely unchallenged (see On the Media’s take). When Elmo and his neighbors leave Sesame Street to lobby in Washington, they are trying to offer an alternative image of public broadcasting. They are also using their celebrity, and the residual goodwill surrounding their public image, to build support for public broadcasting. Although I doubt that Sesame Street’s prime audience, preschoolers, is paying much attention to the debate on Capitol Hill, but some of their parents and grandparents are. This entry was posted in Uncategorized and tagged advocacy, celebrities, public broadcasting. Bookmark the permalink. I would like to organize and or join in a march against Nuclear Power near san diego ca. Please keep me informed. I would like to contribute time, perhaps a little money…anything to stop this madness once and for all.